Mt. 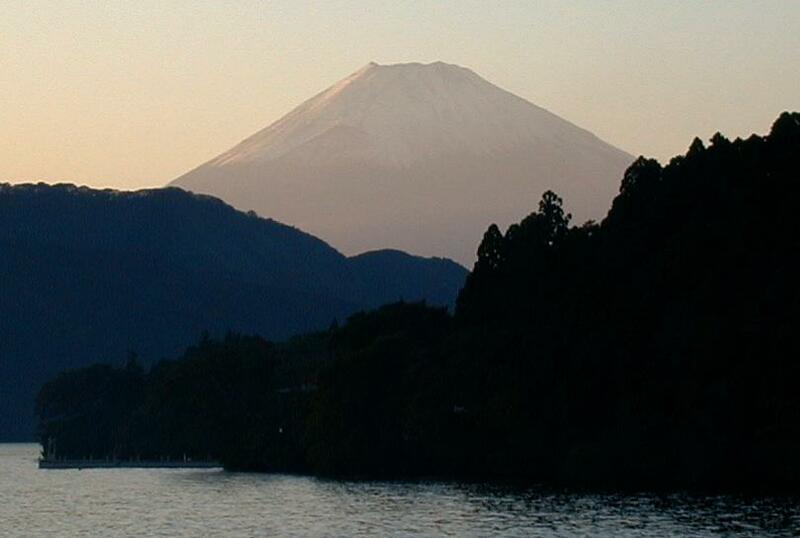 Fuji - this picture is intended to how you massive the base if the mountain is. 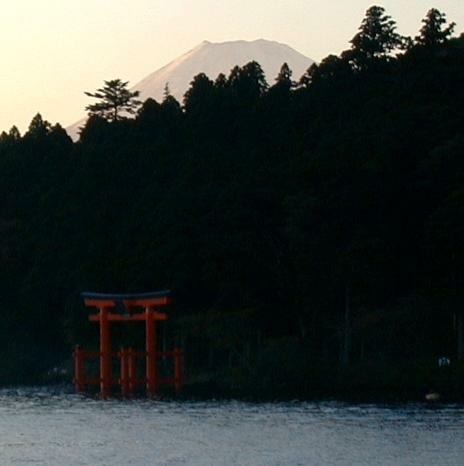 Her is a picture taken from one of the big lakes that surround Mt Fuji. We took a sight seeing cruise to get this view. It was about 30 minutes of incredible scenery. 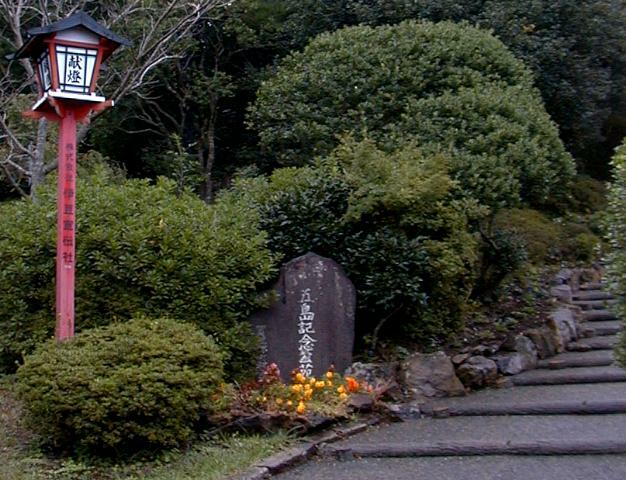 This park is on top of a mountain in Shimoda. 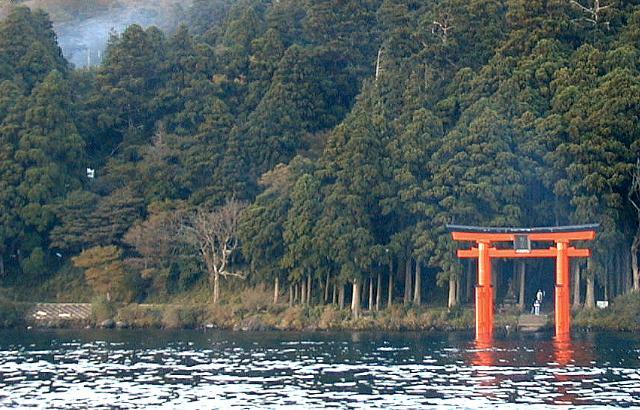 It is where the Japanese setup a secret post to watch over the first foreign ships that docked in the bay there. Just a close-up of a lamp at sunset. 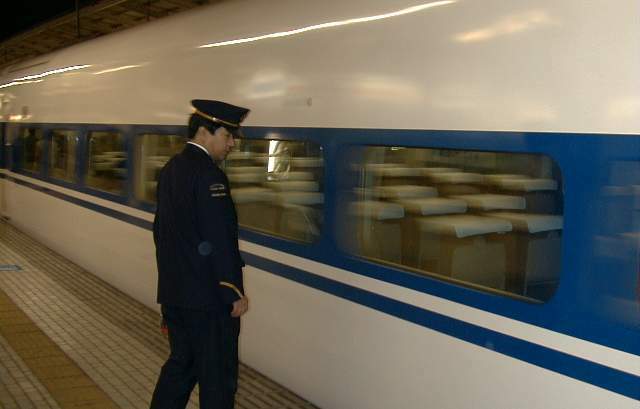 This is a strange shot of the shinkansen train. Even though the train is just taking off, it looks like its really moving fast. In reality, the shinkansen is the fastest train you can take, and exceeds 250kph (maybe 125mph). 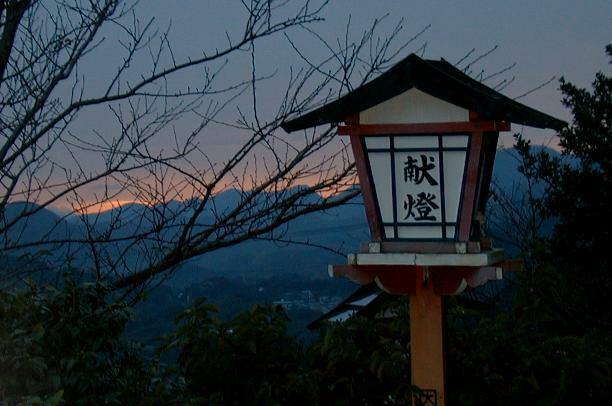 Another shot of that Torii gate - this time with Fuji san in the background ("san" means mountain as well as mr/ms/mrs).